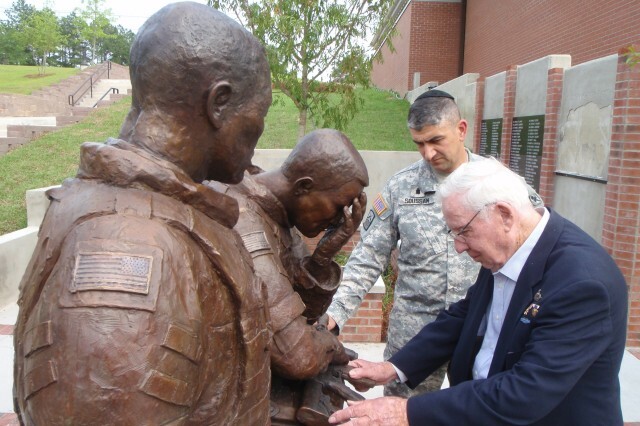 FORT JACKSON, S.C. -- The 160 chaplains and chaplain candidates in the Chaplain Basic Officer Leadership Course sat in awe when 91-year-old Moffatt Burris spoke to them recently at the Army Chaplain Center and School. “I invited Mr. Burris as a motivational speaker, since (by luck of the draw) my platoon was matched with the 82nd Airborne Division for training purposes,” said Chaplain (Maj.) Henry Soussan, an instructor for the officer basic course. Burris was a 24-year-old Army captain in 1945 when his unit, the 82nd Division, had a very close call outside Berlin near the end of World War II. “Mr. Burris told of the hard campaigns in Italy, France, Holland and Germany and quietly spoke of his shock and disbelief when liberating a German concentration camp. One of his most astonishing stories occurred when (he) neared Berlin in April 1945. He was given orders to stay put. But the young captain decided to jump in a jeep with two other men to see just what lay ahead of his division. He stumbled into the German army,” Soussan said. Burris and his two-man army had somehow managed to secure the surrender of an entire German Panzer corps. Capt. 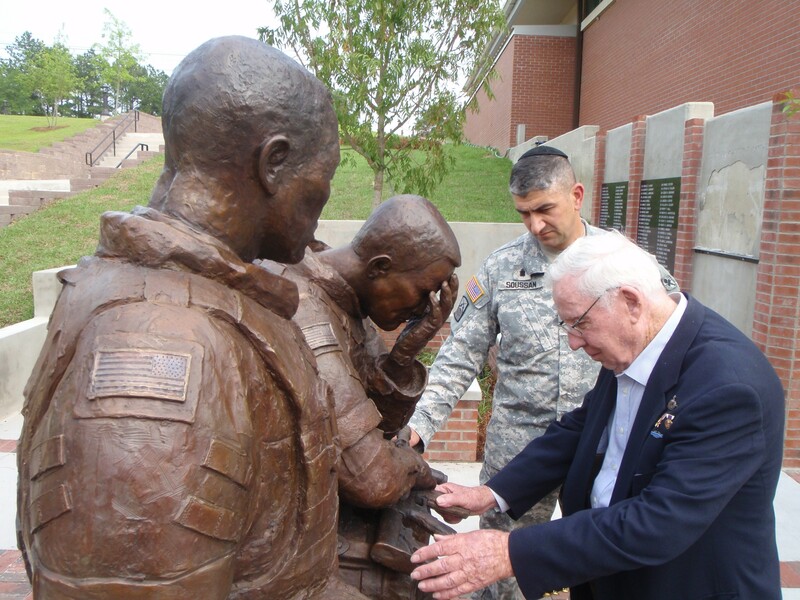 Lance Sellon, a chaplain candidate and class executive officer, said while he is familiar with war heroes portrayed in movies, he had never actually met one before Burris. Burris also shared with the class the effect his battalion chaplain had on him and his fellow troops.